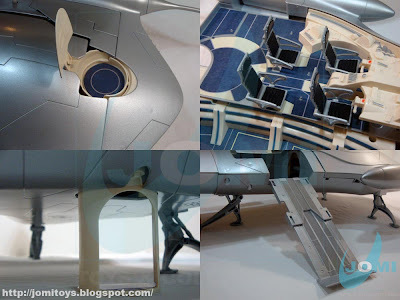 A giant ship, Star Wars Episode 1 Electronic Naboo Royal Starship Blockade Cruiser Playset is a really big playset very well capable of falling into anyone´s grace. If you´re a Star Wars fan, you´re gonna love it. With an original retail price of US$100, it is one of the pieces that even loose/complete, when in good condition easily achieves the US$150 mark. And US$200 for a MISB. Featuring 15 realistic movie sounds, an exclusive R2 unit, a droid fighter and even a small rescue ship, this will give you unlimited fun. Just watch the amount of included parts! 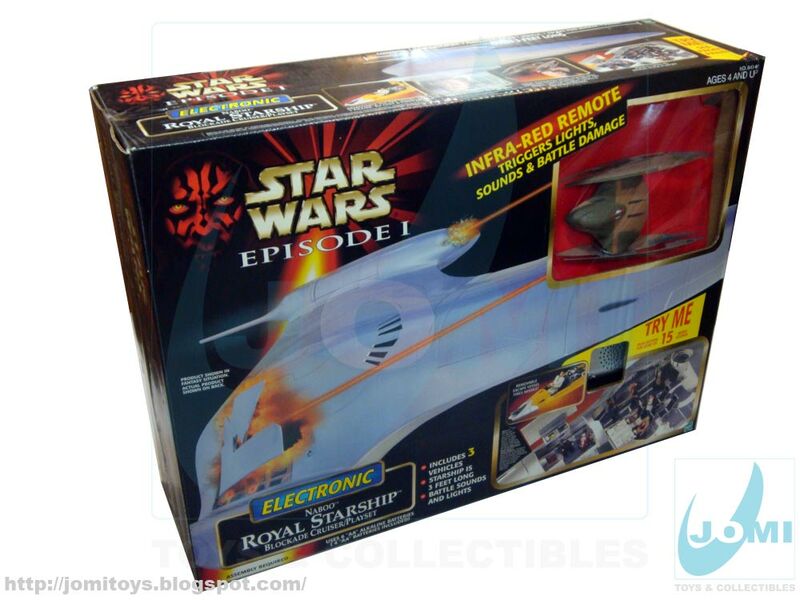 This ship was a very important part in Lucas´s vision of the new trilogy. It represented the pre-Empire class and art of the Royal kingdom. 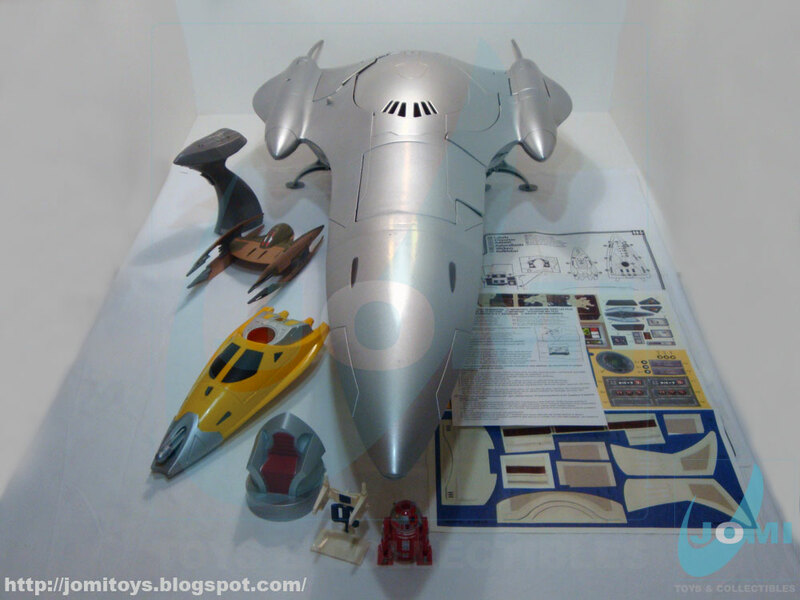 The actual toy... besides being enormous, is an ode to Star Wars universe. The sounds, the playset capabilities, the small details... very pretty. The "secondary" parts. 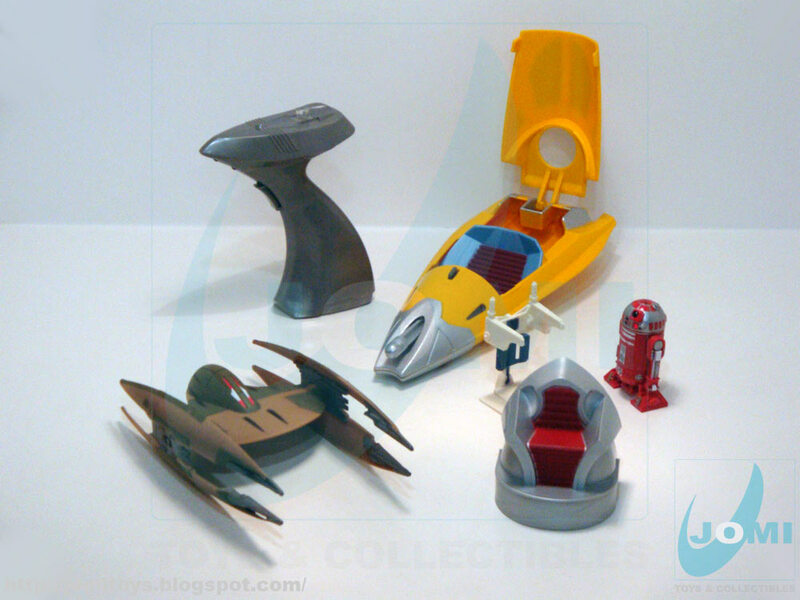 The droid fighter fits on top of the remote handle for you to fire. 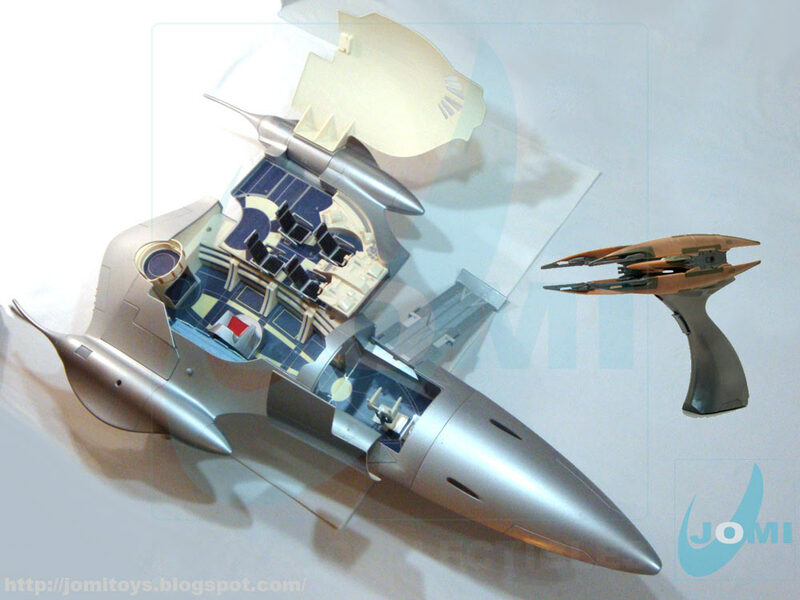 The yellow ship fits inside the Royal Ship nose and is an escape ship with a spring-loaded firing missile. Voila. 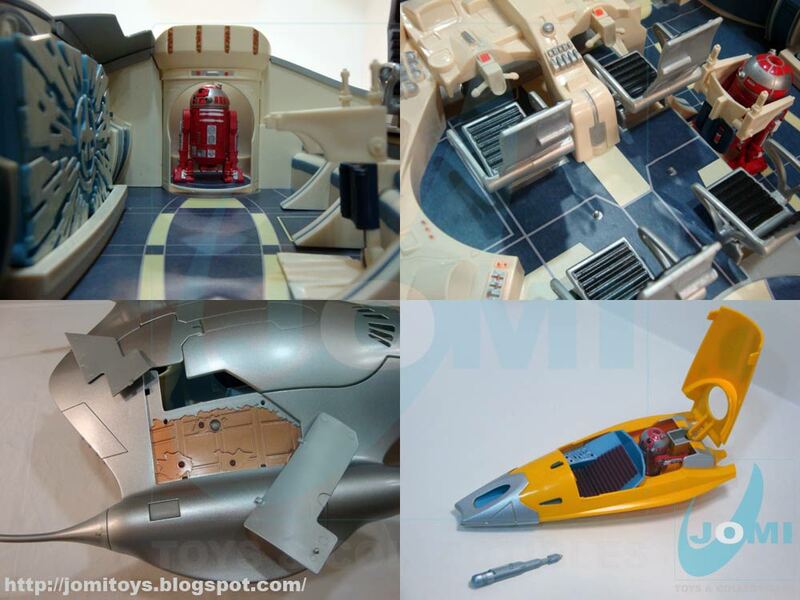 A really big playset and a droid fighter to simulate movie scenes. That´s right, the 15 movie sounds even include variation of working and non-functional Nubian hyperdrive. Nice! This is one of Episode I best toys. Besides the sounds, it has a lot of different color Leds enhancing the experience. The elevator not only puts R2 units on top of the ship, it also "brings" figures inside from below. You have the famous ramp and you can also see the cockpit with reclining chairs. Awesome! MIB. Opened for assembly and photo shoot. 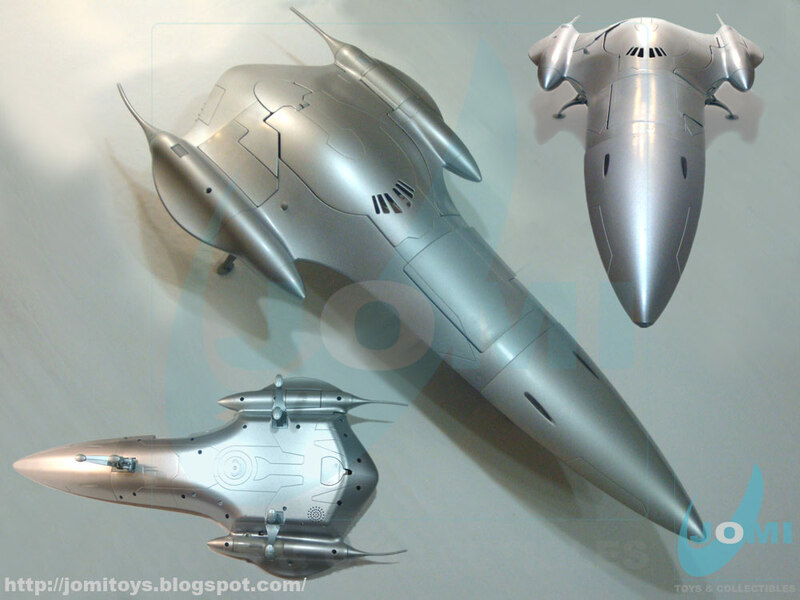 I have royal starship,is big is beautiful,is a dream...Star Wars Forever!